Sunday morning we went out to get a Christmas tree for JD's apartment. 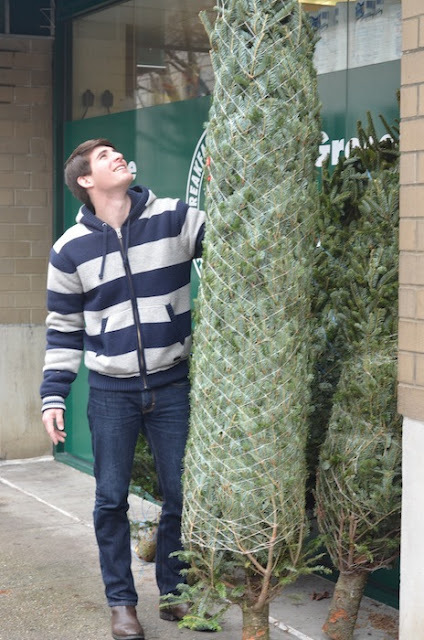 Tree shopping in Manhattan is interesting. 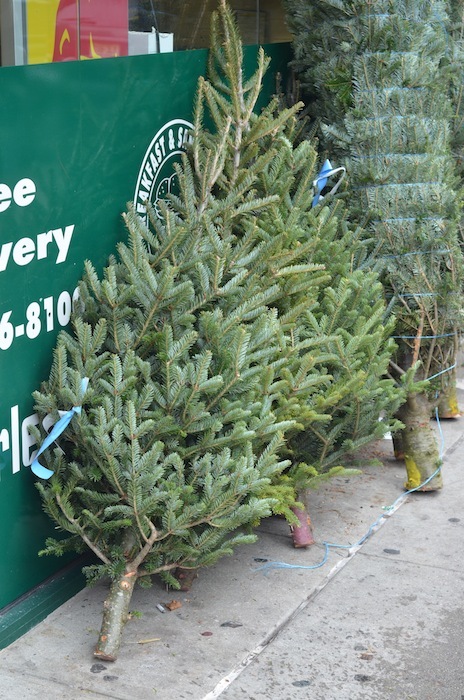 Tree size and price appears to vary by neighborhood. so expensive? Shelling out $100 for a tree doesn't seem to fall within the spirit of Christmas. After scouting, we ended up doing best by going to the market across the street. The selection was more limited but prices were (a little more) fair. 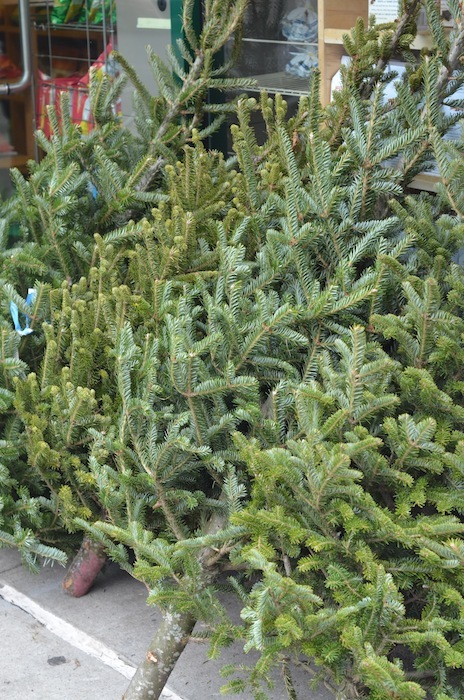 The taller trees were all the same price with the smaller trees going for just a little less. for a series of ridiculously embarrassing pictures with it. And no, they will never see the light of day. decorations crowded her tiny apartment to the point where she couldn't open the door. I don't remember that episode of HIMYM.... I guess I will have to go rewatch all the episodes. I love christmas episodes of all the shows.... looks like you found a great tree! Can't wait to see the decorated photos! Haha I think I remember that scene. I LOVE watching Christmas editions of shows. : )And can't wait to see your Christmas tree!